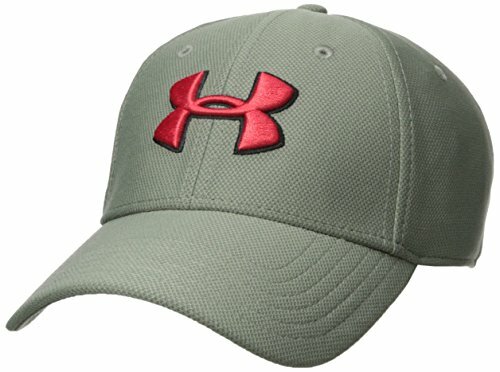 Under Armour Men's Blitzing 3.0 Cap, Moss Green (492)/Pierce, Large/X-Large | What Should I Say? UA Classic Fit features a pre-curved visor & structured front panels that maintain shape with a low profile fit. Front panel backed with foam padding for added comfort. UA Microthread Microthread fabric uses re-engineered fibers designed to give superior stretch & breathability. Built-in HeatGear sweatband wicks away sweat to keep you cool & dry. Stretch construction provides a comfortable fit. Embroidered logos.